A balanced essay is an essay that is clear and contains both sides of an issue. One of the problems with rhetoric is that individuals have come to use it for the construction of massively one-sided arguments in their english essays. When was the last time one read political discourse in which the views of the opposition were even remotely considered? Usually, the writer of a research project has gathered all of the necessary evidence to support his or her position alone, and presents it in such a tidy way that other alternatives can be summarily dismissed. However, this is not the construction of a balanced argument for a proper term paper or research paper. In order to best present one’s argument, opposing evidence and views must be examined. Generally, the point of an argument is to advance one position over the others. This does not mean that there is only one solution; merely that yours is the best and here are the reasons why. By introducing counterarguments and explaining the reasons why they will not work, one strengthens one’s own argument in two fundamental ways for the research paper. First, your solutions will be shown to be either more effective or more rational. Second, in understanding opposing view points, the writer can fine tune his or her own argument and discover what the best solution truly is. A balanced argument is one that explores all sides of an issue, weighs their evidence carefully, and presents the best solution in the form of a well-written research proposal. Writing a balance argument is a matter of understanding your position, not blind persuasion. An essay or a term paper is an investment of time on the part of the reader. In order to make this investment worthwhile, an efficient writer will produce a clear, logical and interesting argument that follows a progression from beginning to end. 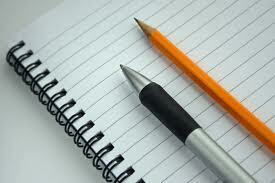 Even less skilled writers can follow the development of an essay in order to make their point effectively. The first essential part of an essay is the thesis statement. The thesis is usually given within the introductory paragraph. After the reader’s attention has been alerted to the interest of the essay, he or she must be provided with the importance. That is the function of the thesis statement. A thesis usually puts forward a proposition, one that needs to be supported with evidence. The evidence in an essay is the bulk of the writing. Each body paragraph usually provides clear and specific examples in support of one aspect of the thesis. For example, if a thesis states that “The French Revolution affected radical change in the religious, political and educational systems of France,” one body paragraph must be spent on each of these areas. Concrete examples must be used within each paragraph in order to provide a clear sense of support for the reader. Without concrete examples, the thesis is useless. After the support is provided, the thesis can be turned into a persuasive statement in the conclusion. All of the work of the essay has proven the thesis. All Balanced Essay essays written by Paper Masters are custom written. Whether it is an English 101 Balanced Essay essay or an entrance essay to a prestigious university or academic program, Paper Masters has the resources to write you an outstanding essay. Essays differ from term paper or research papers in as much as they are generally more personal, derived from acquired knowledge in the classroom, text readings or other sources of academic learning. Essays show how much you know on a given subject and are usually very specific.